As we all know, preventing/reducing injuries’ incidence is one of the biggest challenges in professional sports teams, as well as a nightmare for coaching staff, Medical staff and management. 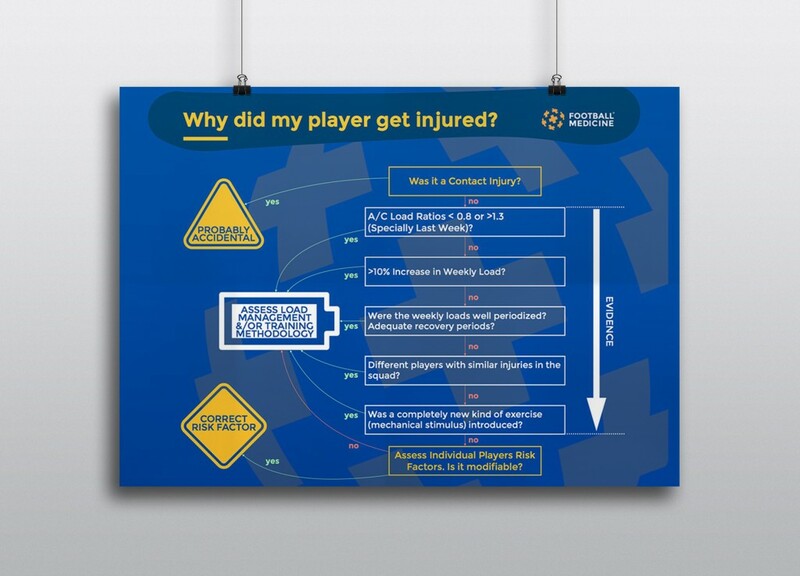 Regardless of the sport and/or level of practice, any team will face injuries, which will always lead to the million dollar question – why did my player get injured? 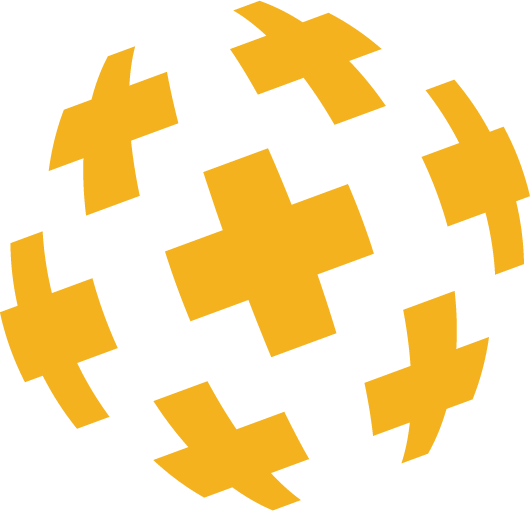 – that any professional that contact with the team should be interested to know. Lack of knowledge regarding injuries etiology, risk factors and ways to efficiently monitor them within reasonable timings lead this question to be answered frequently as an unlucky event. However, with the amount of crescent evidence regarding sports injuries risk factors as well as enhanced technology to monitor it (e.g. GPS), should luck still be a part of the equation in what concerns the etiology of sports injuries?! Probably not! 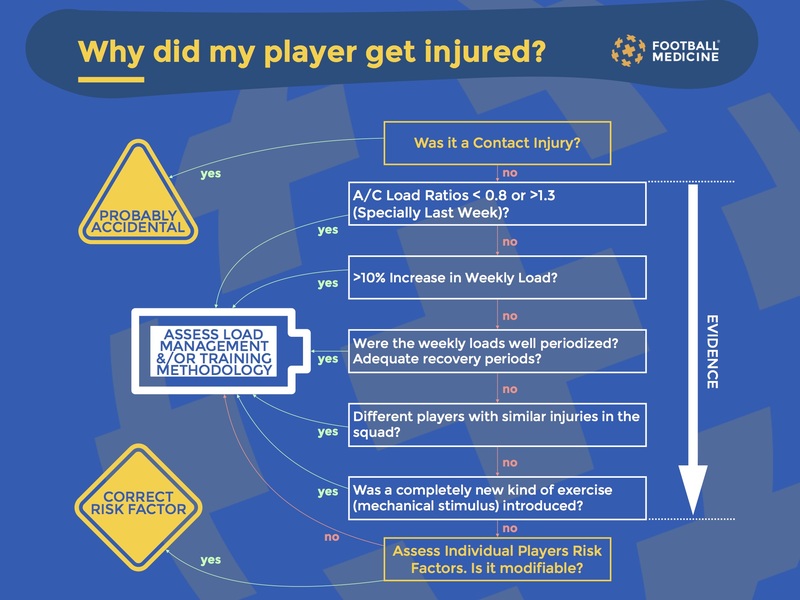 Considering this issue, Football Medicine professionals decided to develop a flowchart/logarithm that may be in handy for team professionals that might be interested to know why did the player get injured. Click on the image to download the pdf version of the flowchart.